4.2 out of 5 based on 40 bloggers and 2 commenters. 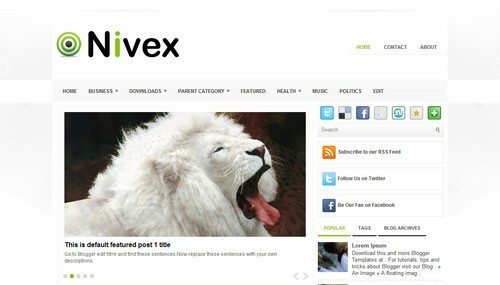 Nivex is a free blogger template adapted from WordPress with 2 columns, magazine-styled, right sidebar, ads ready, slider, posts thumbnails, tabs and drop down menu. how much would it cost me to ask your business to customize this blog for our blog?